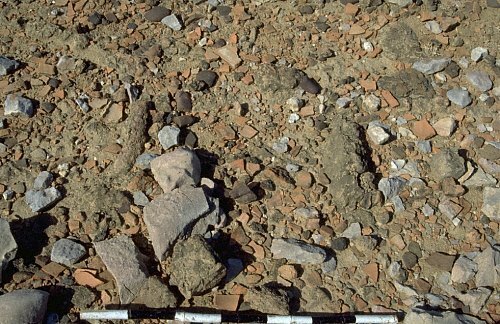 This paper illustrates the different types of technology that was used for firing pottery and terracotta objects in the greater Indus region in the third milliennium B.C.E. Using excavation data from the Kachi Plain (Mehrgarh, Lal Shah and Naushoro), Harappa and Mohenjo-daro, Miller develops a classification for the range of firing structures and technologies, focusing on the way in which these structures dealt with the flow of air. The types include: "Open-air" firing structures, single-chamber firing structures, and double-chamber updraft firing structures (kilns). There are detailed descriptions of these different types of firing structures as evident from the excavated sites, and Miller emphasizes that there is "a continuum in the 'types' of firing structures" that were in use. "The shallow "pit" kilns with built-up sides grade into single-chamber structures with impermanent upper portions and roofs. Repeatedly used used "open air" structures with plastered clay coverings grade into rapidly built single-chamber structures using loose mud bricks or clay lumps..." The origins and developments of the double-chamber structures are pending further research. Another observation that raises interesting questions is that older structures continue to be used alongside the development of new and more complex firing structures at these sites. What determined these decisions? Was it the quality of products, their size, the cost of fuel, or a need for mass production in an increasingly more controlled urban environment? 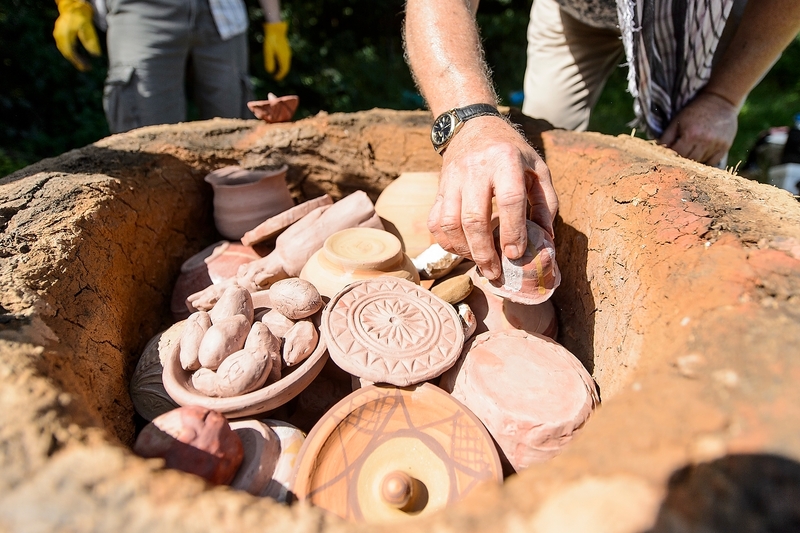 To learn more about how Professor Kenoyer has recreated ancient pottery firing structures (kilns) at the University of Wisconsin - Madison, and uses these for research and training purposes, read this article. Miller, H. M. L. (1997). Pottery firing structures (kilns) of the Indus Civilization during the third millennium BC. The prehistory and history of ceramic kilns, 41-72.